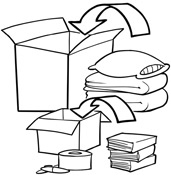 This means having plenty of moving supplies in advance like quality boxes, tape and packing materials. We've got everything you need to store anything you've got®, right here at Public Storage. We’ll Treat Your Stuff Like It’s Our Stuff. 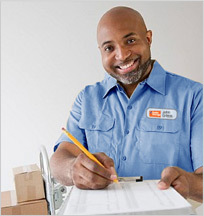 You can even find a complete list of pack-and-stow advice by viewing our "Tips You'll Love." Or watch the Customer Testimonial video and hear what others have to say about their storage experience. 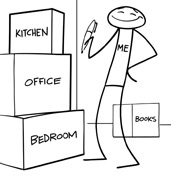 Stress less and pack faster by having the proper moving supplies on hand. And plenty of them — like bubble wrap, glass packs, mattress bags and furniture covers for only the best results. We use two types of locks at Public Storage. Depending on your chosen facility, either a high-grade padlock or a cylinder lock can be purchased. Ask your manager which lock type is needed for your location. If your unit uses a padlock, you may also bring your own. Either way, it's good to know only you hold the key. Find a full range of sizes to match any need and maximize the space within your unit. 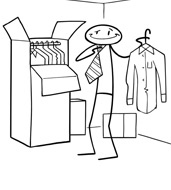 Don't forget our hanging wardrobe and extra-large boxes for bulky items can be particularly handy. Using high-grade tape with excellent adhesion pays off when it comes to keeping your boxes sealed. 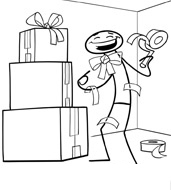 And don't underestimate how much you'll need — tape can disappear quickly! Remember, ours comes with a full refund for any unused rolls. You're always welcome to return any unused items within 30 days of purchase. 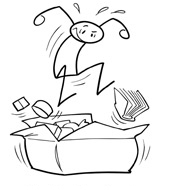 Just bring the original receipt along with the unopened item(s) to any Public Storage location for a full refund. 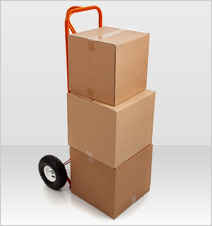 Note: At this time, we do not offer moving trucks for rent or home pick-up services. Most areas provide several choices for these types of services, so please search within your local region. cylinder lock which must be purchased on-site for a nominal cost. Ask your manager which lock type is needed for your location. For your first visit to Public Storage, be sure to arrive during Office Hours. That's when you'll always have the assistance of the manager on duty. After your first day, you're free to come and go using Gate Hours when you'll find us open seven days a week, 365 days per year. Be sure to login to Reservation Care to find your property's specific Office and Gate Hours, as these can vary by location. Monday - Friday, 9:30 a.m. to 6 p.m.
Saturday - Sunday, 9:30 a.m. to 5 p.m.
Before you move in, you'll be asked to sign a lease. You can save time on move-in day by completing some of your lease details online with Express Check-In. Please login to see if this option is available to you. You can also visit your location any time prior to your move-in date to complete your lease, meet your property manager, view your unit, and learn the ins-and-outs of our facility. 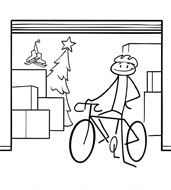 Using Public Storage is designed to be easy. Here are just a few things you'll need to know to make it even easier, especially on your first day when getting moved inside our orange doors. Monday — Friday, 9:30 a.m. to 6 p.m.
Saturday — Sunday, 9:30 a.m. to 5 p.m.
to meet your property manager, view your unit to make sure it's right for you, and sign the lease. Find that you need more space? No problem. It's always easy to make changes to your reservation on move-in day. If you haven't already signed your lease (at your location, or online if available), plan on spending 15 to 30 minutes to complete this document on move-in day. You'll be happy to know our lease terms at Public Storage are always month-to-month. That means no long-term commitment, and you're able to move out at any time. or moving supplies. These additional items — as well as any taxes and a nominal one-time administrative fee — will be included in your first payment. Congratulations. You've got the perfect unit and it's ready to load. To make the most of your stay with us, here are a few tips about getting in and out of our facility, and the best ways to store. Be sure to make good use of our free handcarts and dollies. They'll save time and energy when moving heavy items and are available through your property manager. You'll find many other helpful ideas when you view our "Tips You'll Love"—a practical list of everything you'd ever want to know about moving and storing. For example, did you know that it's best to leave a walkway down the center of your unit? That way you'll always have easy access to everything stored with us. And don't forget to make good use of your property manager. They're The Real Storage Experts® and it's their goal to help you get the most out of your unit. On your first day, the property manager will provide you with a "gate code" — your own personal number to enter our property and open the electronic security gate. For future reference, this code will also be noted in the Your Account section of our website. Here you can also pay your rent, update your contact information, and set up email notifications as reminders for when your rent is due. For your benefit and safety, there are some items that cannot be stored with us. A few of these items include live plants and animals; flammable liquids and explosives; and illegal contraband, like drugs and automatic firearms. Please read your contract carefully for more information. 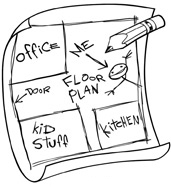 Rethink and repurpose things your planning to store. You can save room in your storage unit by packing books and CDs inside the fridge. Just leave the fridge door wedged open for circulation. Also, use empty trash bins to contain garden supplies like shovels and hoses. Keep your frequently used items at the front of your storage unit. This will help you easily locate and grab them on your next visit. 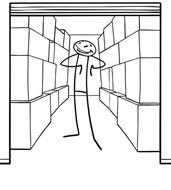 TIP: Make a basic drawing that points out locations for all “must-find-agains.” Then tack it to the wall of your storage unit. There are a few simple things you can do today to make your next trip to storage quick and easy. Keeping basic tools like screwdrivers, a hammer, pliers and a utility knife around your storage space will pay off big when taking off removables -- like table legs and leaves. 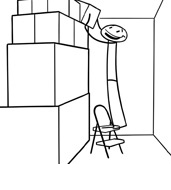 Also, a folding step stool will come in handy when accessing items stored above-head height.